When I was a child, I would marvel at the cluster of lights in the Vancouver winter night sky, The bright white dots were clustered up there in the night sky, brilliantly glowing. I suppose they could be stars. But they were too bright to be stars, too big and too steady. They appeared on cloudy nights yet only appeared when the air was cold and never in the summer. Yet, they were always at the same place, neatly arrayed. They weren’t planes. Planes moved but these did not. I knew they were a sign of civilization but I didn’t know why. “Why are there sometimes streetlights in the sky?” I would ask. But I never got an answer. I suppose the “how” didn’t matter, just the “why”. The childhood inquisitive “why” which didn’t care about the how. I supposed I figured that anything was possible and technology could solve anything. After all, we did have SkyTrains that drove by themselves, so why not a city in the sky? I was just baffled at the reasoning behind putting a place in the sky. But I just couldn’t figure out why there would be streetlights in the sky. Was there a city in the sky? If there was, wouldn’t I have heard about it? I couldn’t understand why they were hovering there in the sky, in the exact same place every time I saw them. Surrounded by streetlights, I was familiar with them. They glowed outside my door at night. Like most major cities, Vancouver is full of them, glowing mostly orange but I thought I saw the occasional white light too. I knew how the looked from afar, down the hill. Sometimes, I would wonder about that place full of streetlights in the sky. This place that glows by night and disappears by day? Was it another city? Was it a place that only some people can go? What would the buildings look like? More importantly, how do you get there? I wondered how such a place floats like that in the sky and why couldn’t Vancouver be like that too. was fascinated with the night sky, even though I rarely saw the intricacies of it in cloudy, brightly lit Vancouver. 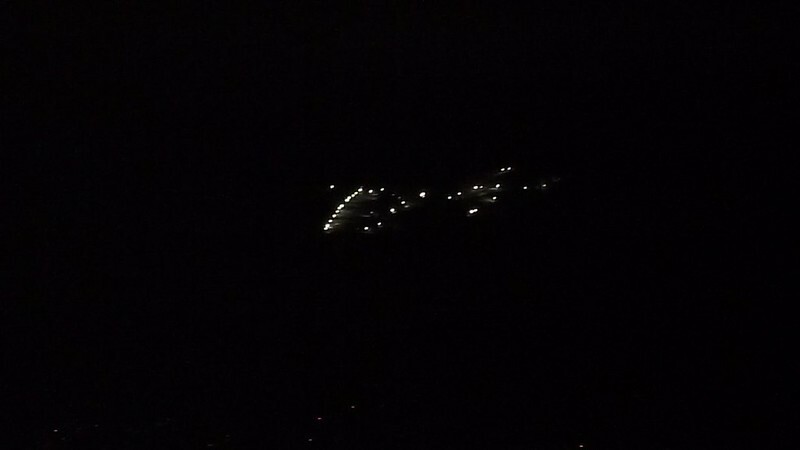 Much later, I would realize that the streetlights in the sky were merely lights for the ski runs on the mountains that disappear into the night. Still, I think my first city in the sky theory is much more interesting and glows as brilliantly. It too, is a product of technology, from electrifying houses to streets to mountains. As for the city in the sky – that’s just a product of my childhood imagination inspired by the science and technology behind the lights on the mountain. Maybe one day technology will really bring us a city in the sky but until then I can stare as its glowing illusion as it illuminates the ski runs, the dark landscape and childhood imagination. This was originally written for the CBC Canada Writes Encounters with Science (or Technology) Challenge. Naturally, it did not win or came close to winning… I also wrote it quickly in-between two essays and an article (that was nuts when you’re a procrastinating writer).